Tinnitus is a ringing sound that originates from the ear or head. It is a quite common problem almost affecting around 10% of adult population. Some may experience it as roaring, buzzing, hissing, whistling or high-pitched ringing. It can be intermittent or continuous or pulsating. Though not a serious problem, it can be quite disturbing to some patients. It is more noticeable in quite environment or when a person tries to sleep. 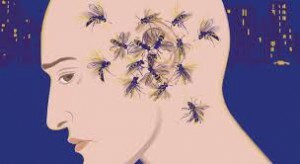 Tinnitus itself is not a disease but a symptom of underlying problem in the hearing system that includes the ears, the auditory nerve which connects the inner ear to the brain or the part of brain that processes sound. Tinnitus is of two types. It can be subjective tinnitus or objective tinnitus. Subjective is the most common type of tinnitus, in this a person hears a sound which is not heard by others. It can be due to problems anywhere in outer, middle, or inner ear. It can also be due to problems with auditory nerve or part of brain which interprets sound. Objective tinnitus is less common and other people sometimes hear a sound when they listen closely. 1. It can be the first sign of ageing in people more than 60 years of age. 2. Certain medications such as aspirin, antibiotics, antidepressants etc. 5. Certain medical conditions such as, thyroid abnormalities, diabetes, high blood pressure, cardiac diseases, anaemia, capillary abnormalities etc. 6. Brain tumours or benign tumour of the nerve of hearing (auditory nerve). It is also a common problem with people working or living near in noisy environments—such as factory or construction workers, road crews, or even musician. There are certain symptoms or characteristics that are a cause of concern. If tinnitus is heard only in one ear or associated with other neurological signs like problem with walking, balance, difficulty speaking, swallowing, seeing or vertigo, sudden falls etc. A Doctor should be contacted immediately in case these warning signs appear. There is no single treatment for tinnitus that benefits all. Management depends upon the cause of the tinnitus. Initially a hearing test should be done. Patients who experience tinnitus in one ear only need further investigations e.g. MRI. Removal of wax form the ear, changing medications, controlling blood pressure, using hearing aids in case of old age tinnitus are some of the initial steps that help many. In case an underlying brain or nerve problem is detected then treatment is guided according to the problem. This may include surgical exploration, implants etc. In cases where specific cause can’t be found treatment aims at helping to manage the condition on daily basis. This includes behavioural therapy, counselling, sound therapy, tinnitus retaining therapy.etc. Certain medical conditions such as, thyroid abnormalities, diabetes, high blood pressure, cardiac diseases, anaemia, capillary abnormalities etc. Brain tumours or tumours of the nerve of hear hearing. In cases where specific cause can’t be found treatment aims at helping to manage the condition on daily basis. This includes behavioural therapy, counselling, sound therapy, tinnitus retaining therapy.